Is there any celebrity couple with a sweeter love story than that of Ashton Kutcher and Mila Kunis? They played love interests on-screen in That ’70s Show, were friends for literal decades, were in each of their own failed relationships and then fell in love. Like, they should be a movie. This week, they showed us with some PDA how ridiculously cute and meant-to-be they are, and honestly, I cannot get enough of it. They were on an adorable date night to the Los Angeles Kings’ home hockey game against the Vegas Golden Knights at the Staples Center Monday, Feb. 26 when they got caught on everyone’s favorite sports-themed romantic comedy plot device, the kiss cam. Of course they went in. But not before hamming it up a little for the crowd. Kunis initially looked surprised, while Kutcher prepped for their big moment by overexcitedly licking his lips. Obvi, the crowd loved it, because everyone loves it, because these two are perfection. Be still, my heart. Ugh, can you even handle them? They are too good. Too good and too pure for this world. 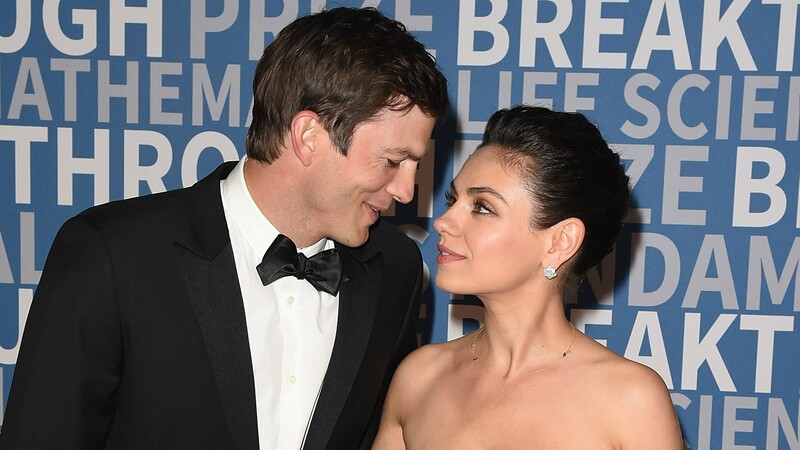 Kunis and Kutcher have been married since 2015, and they mostly keep their relationship private and under wraps; they didn’t even attend a red carpet event together as a couple until last year. They have two adorable kids and one adorable relationship, and please, just more of this out of them forever. That would be just fine.